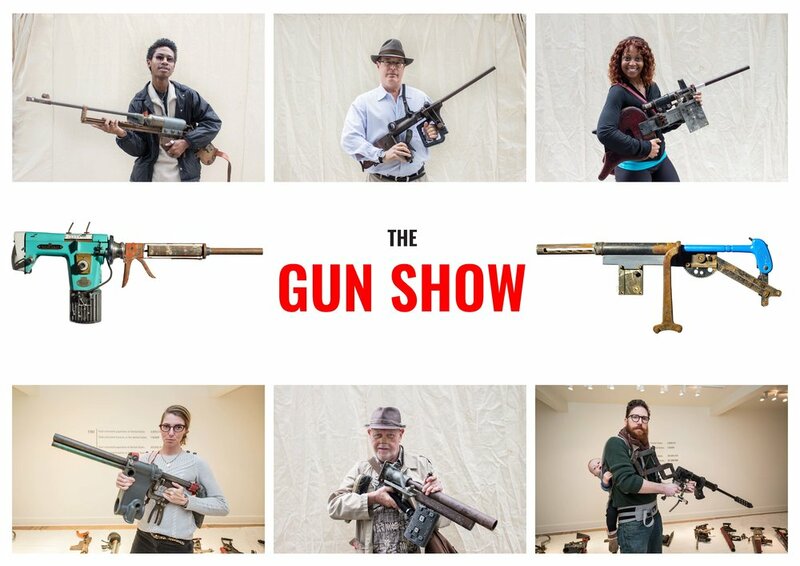 The Gun Show is a traveling collection of one hundred mock assault rifles made entirely from industrial and household objects. This exhibition was created by using David Hess, a sculptor and public artist for over thirty years, who was influenced by the rise of gun violence as a threat to public health. The show’s purpose is to create a platform for cross-communication and education about gun violence and gun safety through both temporary pop-up and more permanent exhibitions around the country. So far, the exhibition will be traveling to: Art in Odd Places in New York City, New York, the Metal Museum in Memphis, Tennessee, Johns Hopkins University in Baltimore, Maryland, University of South Carolina in Asheville, North Carolina, CAM Raleigh, North Carolina, and UMBC, Maryland. To follow this project's development farther, please visit the website and check out our social media @hessgunshow.